2.The adaption of high quality, soft, and breathable material as the insole enables you to enjoy the comfortable wearing of the shoes. 3.Non-slip polyurethane is used as the soles, realizing the high elasticity, suppleness and long-lasting comfort. 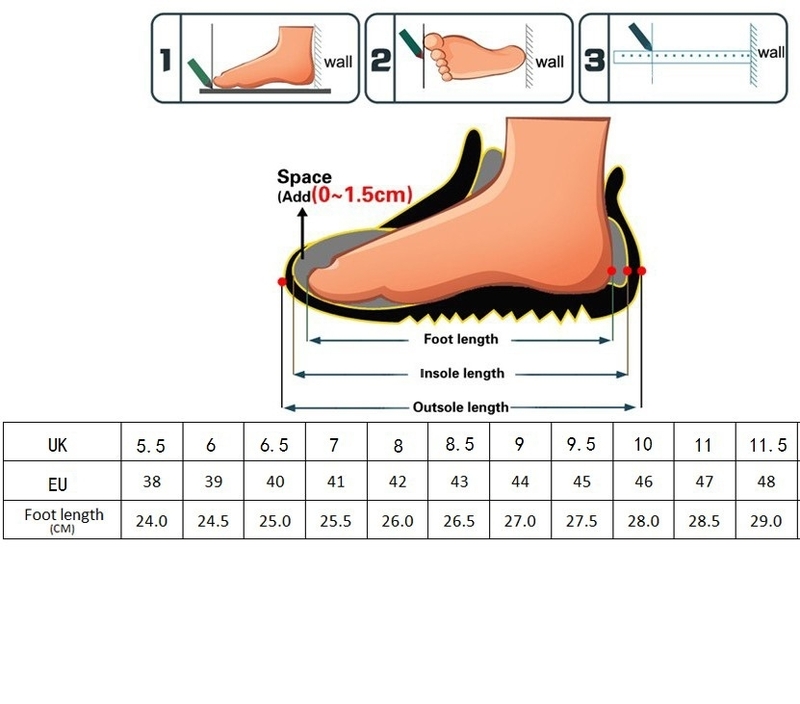 Take a ruler, measure your foot length, from heel to big toe (Never measure the length of the shoes you’re wearing). The heel is evenly balanced for comfortable movement. This collection has versatility and comfort you would always require in a shoe.